Need a cozy space for entertaining or relaxing? 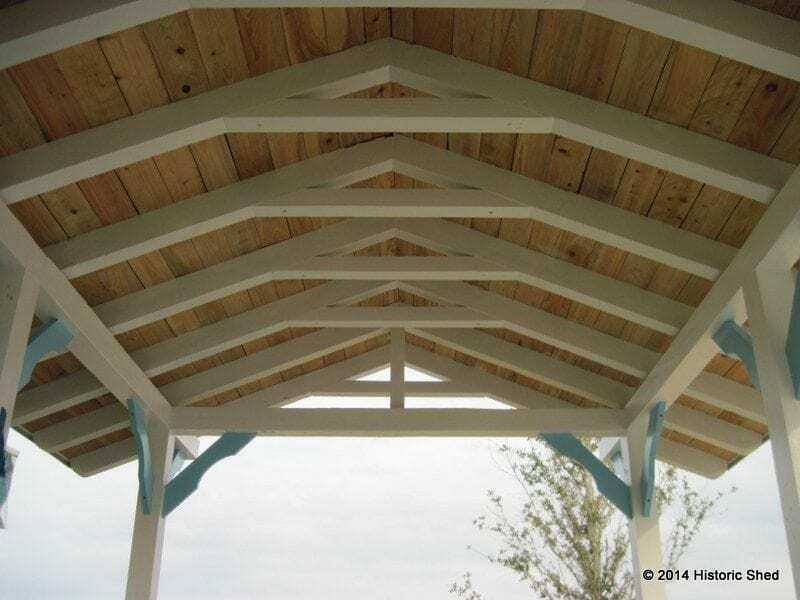 Our Historic Shed™ pavilion provides shade and privacy anywhere in your yard. 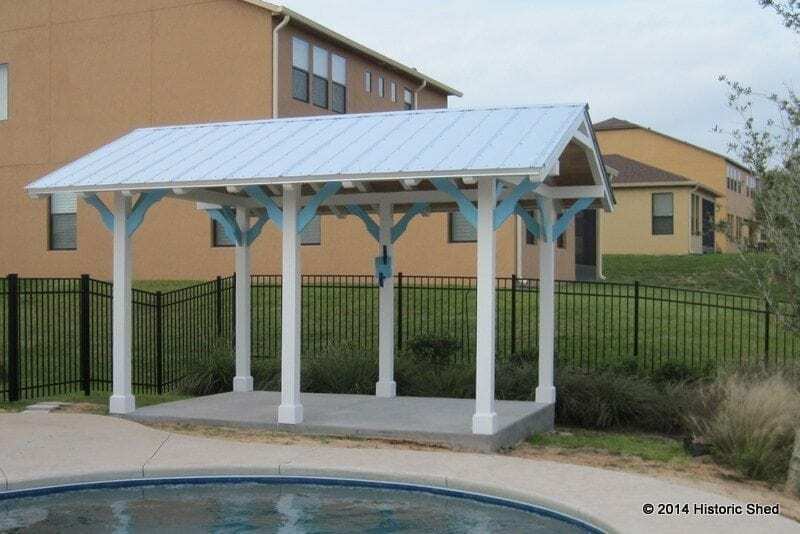 The pavilion is a perfect spot for an outdoor kitchen or grill, makes a great pool cabana (hang curtains for privacy), or can be screened for bug-free enjoyment. 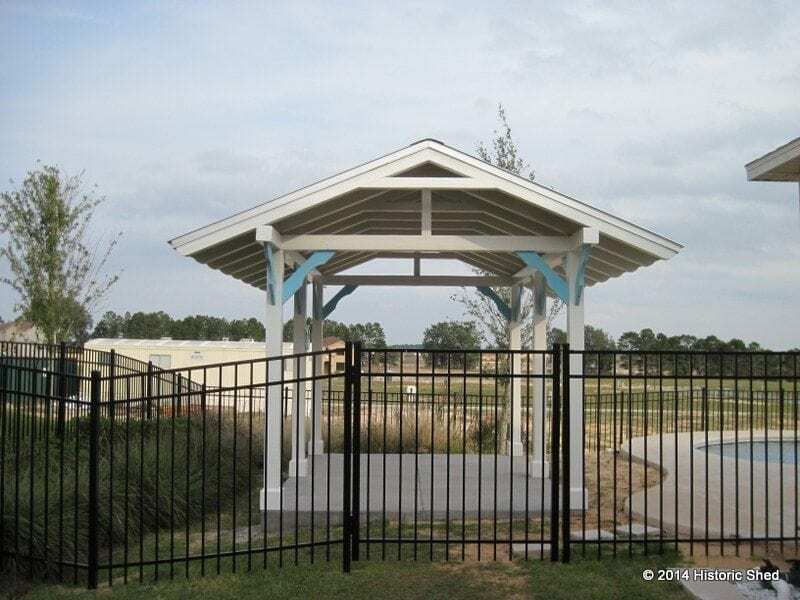 All our covered outdoor structures are designed with hidden fasteners so they meet FL Building Code, but still look lovely.